user warning: Table './active5_foxes/cache_filter' is marked as crashed and should be repaired query: SELECT data, created, headers, expire, serialized FROM cache_filter WHERE cid = '2:67edd00a183fa7616209f0957ba6b488' in /home/active5/public_html/drupal6_multisite/includes/cache.inc on line 25.
user warning: Table './active5_foxes/cache_filter' is marked as crashed and should be repaired query: UPDATE cache_filter SET data = '<p class=\"rtecenter\" style=\"\"><img alt=\"\" src=\"http://www.catchingfoxes.com/sites/www.catchingfoxes.com/files/resize/blog/Textbooks-486x325.jpg\" style=\"border-width: 5px; border-style: solid; margin: 10px; width: 486px; height: 325px; \" title=\"\" width=\"486\" height=\"325\" /></p>\n<p class=\"rteleft\">One thing we could not have known when we made the decision to homeschool through high school was&nbsp;<strong><span style=\"font-size:14px;\">the cost to homeschool would increase annually</span></strong>.&nbsp;This lesson was learned in math class. &nbsp;</p>\n<p>We tackled math first thing each morning. &nbsp;At the height of my teaching load, I taught four math lessons at various levels from Kindergarten to Algebra 2. We had long since settled on one math curriculum - putting each child through the same texts as the sibling before. To ease my teaching time, we combined two children close in grade level, bumping a son up to do the same curriculum as an older brother. &nbsp;For years, they progressed well together, but when testosterone and all its competitiveness arrived the same year as Pre-Algebra, we had war brewing.&nbsp;</p>\n<p>It was the first time we realized what worked for the first child might not be the best solution for all younger siblings. One of the jr. high boys was clearly a more hands-on learner than his brother. &nbsp;I evaluated math programs. &nbsp;Called friends. &nbsp;Asked to see teacher&#39;s manuals. Read catalogs. 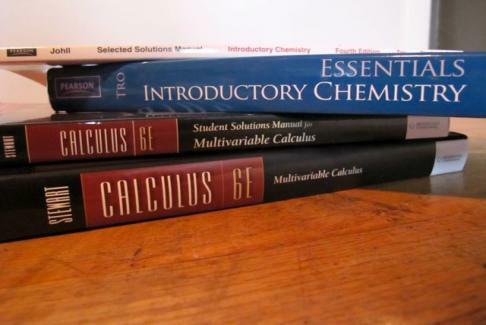 &nbsp;As we prepared for the next year, we faced a choice: &nbsp;<strong><span style=\"font-size:14px;\">Would we teach the curriculum or the child?</span></strong> &nbsp;We had Algebra 1 curriculum in house. &nbsp;It was a great fit for one son, but not the other. It was painful writing the check at the homeschool fair for a new publisher&#39;s Algebra 1 series. In many ways, it felt like we were throwing away resources. &nbsp;We scratched other items off our list and walked away the proud owners of two completely different Algebra 1 programs. &nbsp;I dreaded the following fall - teaching Algebra 1 twice every morning.&nbsp;</p>\n<p>It was a needed lesson. &nbsp;It caused me to see my children as the unique individuals God created them to be. &nbsp;It allowed us to redefine our goals in homeschooling - to meet their individual needs and learning styles. &nbsp;But it cost more. &nbsp;<strong><span style=\"font-size:14px;\">Homeschooling provided opportunity for a customized education, but implementing such a program meant our homeschool budget continued to rise.</span></strong> &nbsp;High school electives ranged from small engine repair to music theory. &nbsp;What one child loved did not interest the next. Somehow - through only a God ordained combination of what we had, what we borrowed, what we found used, and what we paid full price - our needs were met. &nbsp;While our costs rose, so did His perfect provision. &nbsp;</p>\n<p>The costs didn&#39;t stop rising. It wasn&#39;t long before our students outsmarted us - literally. &nbsp;In some subjects, they needed more than we could offer at home. &nbsp;We looked into enrolling them in college courses. The cost frightened us - tuition, books, parking, gas. They were only high school students. &nbsp;It would make little sense to itemize out our expenses for these years - it would scare away the preschool mom from ever venturing forth in her first curriculum purchase. &nbsp;</p>\n<p>But the lesson was not simply in math class. Yes, we had to plan and make wise purchases. But regardless the bottom line total, year after year we&#39;ve seen God faithfully provide the financial resources to meet the cost of homeschooling. <strong><span style=\"font-size:14px;\">The real life cost of homeschooling? Self-reliance must be replaced with reliance on God.</span></strong> Daily to teach the children. Yearly to afford the supplies.&nbsp;</p>\n<p><a href=\"http://www.catchingfoxes.com/content/cost-homeschooling-part-1\">Cost of Homeschooling - Part 1</a></p>\n<p><a href=\"http://www.catchingfoxes.com/content/cost-homeschooling-part-2\">Cost of Homeschooling - Part 2</a></p>\n<hr />\n<p>Fox Catcher: Matthew 6:25-34</p>\n', created = 1555822439, expire = 1555908839, headers = '', serialized = 0 WHERE cid = '2:67edd00a183fa7616209f0957ba6b488' in /home/active5/public_html/drupal6_multisite/includes/cache.inc on line 108.
user warning: Table './active5_foxes/cache_filter' is marked as crashed and should be repaired query: UPDATE cache_filter SET data = '<p class=\"rtecenter\" style=\"\"><a href=\"http://www.facebook.com/CatchingFoxes\" target=\"_blank\"><img alt=\"\" src=\"/sites/www.catchingfoxes.com/files/resize/social/facebook-64x64.png\" style=\"text-align: center; width: 64px; height: 64px; \" width=\"64\" height=\"64\" /></a><a href=\"http://pinterest.com/kimmrankin/\" target=\"_blank\"><img alt=\"\" src=\"/sites/www.catchingfoxes.com/files/resize/social/big-p-button-64x64.png\" style=\"width: 64px; height: 64px; \" width=\"64\" height=\"64\" /></a><a href=\"mailto:kim@catchingfoxes.com\" target=\"_blank\"><img alt=\"\" src=\"/sites/www.catchingfoxes.com/files/resize/social/mail-64x64.png\" style=\"width: 64px; height: 64px; \" width=\"64\" height=\"64\" /></a><a href=\"http://www.catchingfoxes.com/rss.xml\" target=\"_blank\"><img alt=\"\" src=\"/sites/www.catchingfoxes.com/files/resize/social/rss-64x64.png\" style=\"width: 64px; height: 64px; \" width=\"64\" height=\"64\" /></a></p>\n', created = 1555822439, expire = 1555908839, headers = '', serialized = 0 WHERE cid = '2:48be9f28bc948ea32b70445d0a590c98' in /home/active5/public_html/drupal6_multisite/includes/cache.inc on line 108.
user warning: Table './active5_foxes/cache_filter' is marked as crashed and should be repaired query: UPDATE cache_filter SET data = '<div class=\"fb-like\" data-font=\"verdana\" data-href=\"http://www.facebook.com/CatchingFoxes\" data-send=\"false\" data-show-faces=\"true\" data-width=\"280\">\n	&nbsp;</div>\n', created = 1555822439, expire = 1555908839, headers = '', serialized = 0 WHERE cid = '2:854065b9b61ff8596c8fa62e384317c7' in /home/active5/public_html/drupal6_multisite/includes/cache.inc on line 108.
user warning: Table './active5_foxes/cache_filter' is marked as crashed and should be repaired query: UPDATE cache_filter SET data = '<p><strong>Catch for us the foxes, the little foxes that ruin the vineyards, our vineyards that are in bloom. </strong><br /><em>Song of Solomon 2:15 NIV</em></p>\n<p>Metaphorically, the &quot;foxes&quot; are the damaging attitudes and actions that can creep in and threaten the love relationship of a couple and a home. &nbsp;Catching Foxes is committed to being a resource as you guard against the things that might injure and destroy the harvest you are striving to grow in your home.</p>\n', created = 1555822439, expire = 1555908839, headers = '', serialized = 0 WHERE cid = '2:132a8457abcc78748ef29251eaa8f1d7' in /home/active5/public_html/drupal6_multisite/includes/cache.inc on line 108.
user warning: Table './active5_foxes/cache_filter' is marked as crashed and should be repaired query: UPDATE cache_filter SET data = '<p><a href=\"mailto:kim@catchingfoxes.com\">kim@catchingfoxes.com</a></p>\n', created = 1555822439, expire = 1555908839, headers = '', serialized = 0 WHERE cid = '2:fe7b2055d10a2c25c439ca4710d86502' in /home/active5/public_html/drupal6_multisite/includes/cache.inc on line 108.